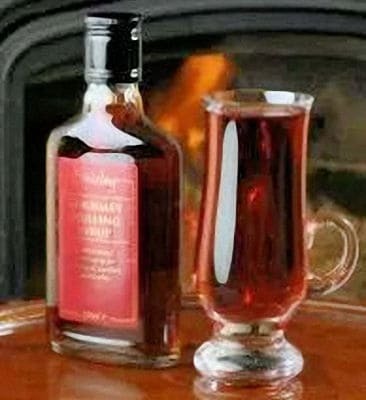 A non alcoholic syrup containing a special blend of spices to provide a simple and convenient way to make the most delicious mulled wine, cider or apple juice. Being a sugar based product, it fully dissolves when heated and doesn’t leave any residue or powdery aftertaste, which can sometimes occur with sachet type alternatives. Although predominantly aimed at the Christmas/Winter market to provide that much needed ‘warm’ feeling during those long cold nights, the product also has a number of different uses for other times of the year. For example, a small amount of the syrup drizzled over a good quality vanilla ice cream produces a truly wonderful result. Other uses include adding a small amount of syrup to fruit for pies and crumbles; poached peaches or pears, or even adding some to the Sunday roast gravy to enhance the overall flavour of the meal. It is also particularly good brushed over cocktail/barbecue sausages.